Pockets of Canadian culinary brilliance have gone from gastronomic museum pieces to full-blown eating destinations, especially in its cities. From the western provinces producing the ultimate red meat-driven menus and Ontario’s wine country to Quebec, where European and French cooking influences send gourmands into a dither, the following kitchen stars are blazing their own paths. These connoisseurs of flavor are like bottle rockets, putting the pow, bam, and boom in dazzling dishes that engage diners. Hyper-appreciative of their local producers yet enthusiastic to experiment with fine imported ingredients, these chefs have perfected the art of applying technique to what’s available. 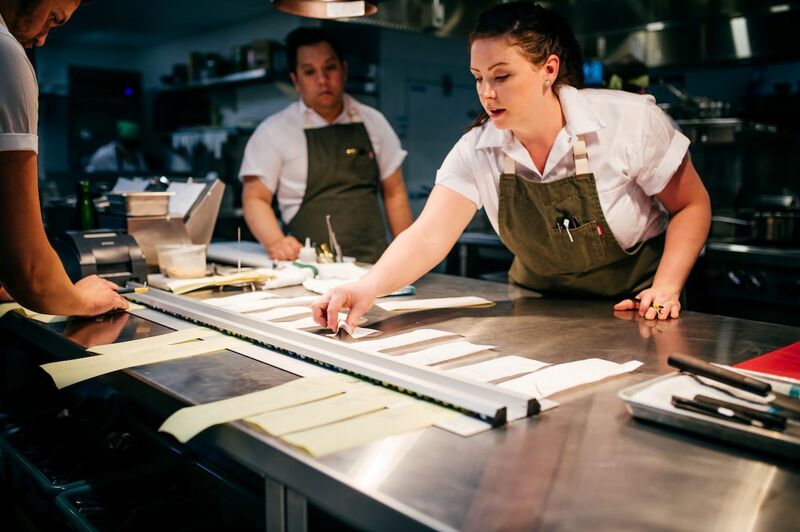 Here are a few menus by 11 over-achieving chefs to try in Canada’s cities. Not near any of these chefs’ eateries? We can help you find the right restaurant in your city on OpenTable.com. 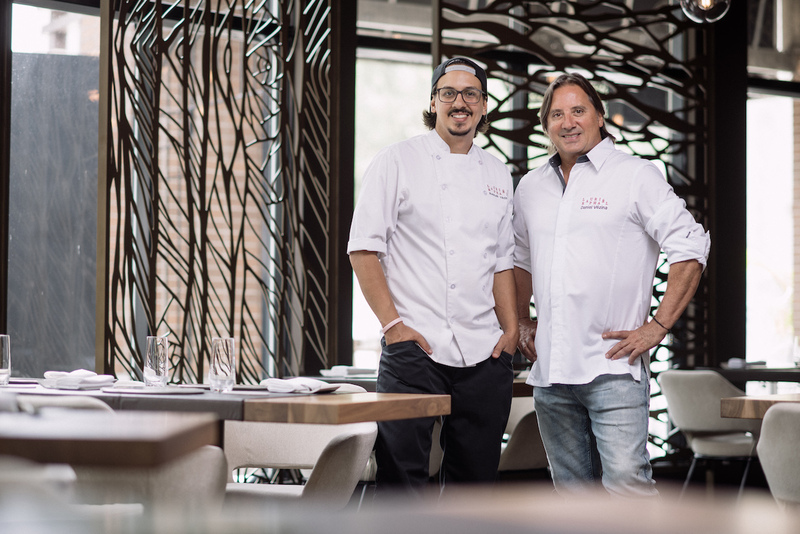 The father and son duo of Daniel Vézina and Raphaël Vézina have a lot to celebrate over a long and storied hospitality career. The team hosted a television show that aired on Zest titled L’Effet Vezina between 2010 and 2015. 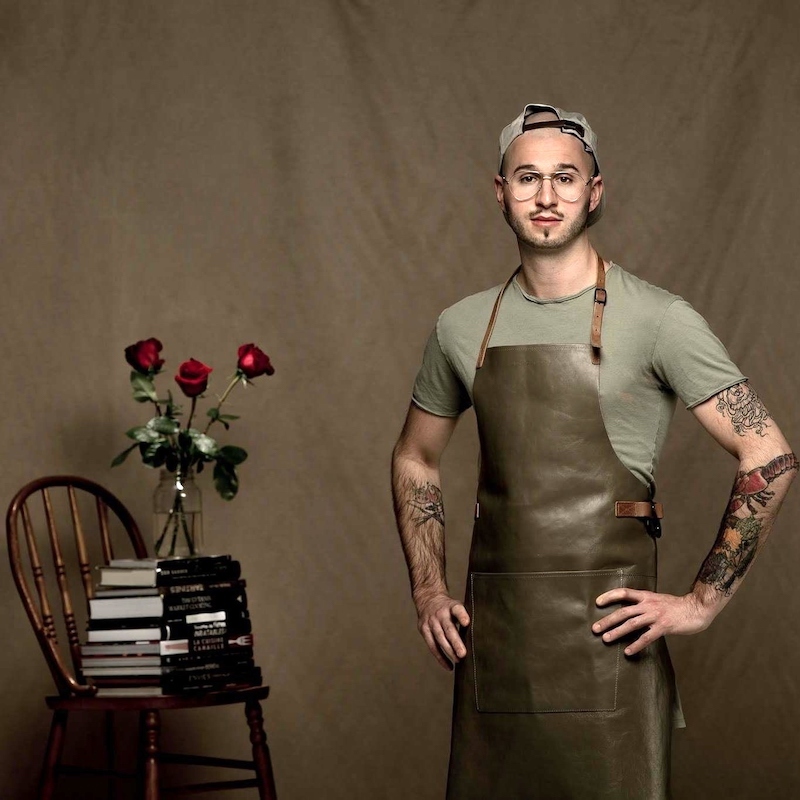 Daniel Vezina is devoted to the reduction of food waste, which he chronicled in his 2015 book, La Cuisine Reflechie: Bien Manger Sans Gaspiller. 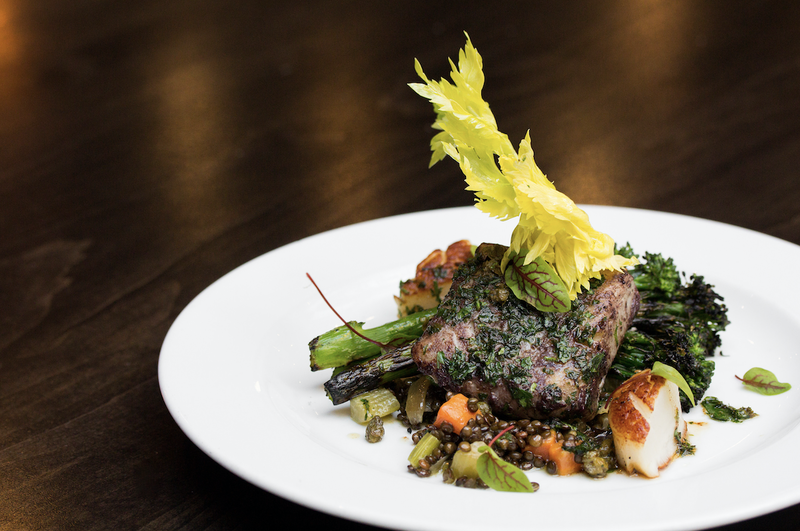 Their restaurant LaurieRaphael is like an edible art museum – their dishes reflective of the passion the family shares for cooking and fine ingredients. The thematic menu is a journey in five stages, ‘new arrival’ in honor of nature and hearth, ‘heritage and traditions’ inclusive of nostalgic culinary memories, ‘cuisines and classics’ in homage to the founding principles of gastronomy, ‘flavor transmission,’ and ‘season’s mark’ paying tribute to Québec’s rich land history. The duo is quoted as saying, “The apple does not fall far from the tree but moves away enough to celebrate the creation of the father while letting the son overcome,” complimenting the continuity of Daniel’s recipes re-envisioned by Raphaël. A few notable dishes among many include pot prawn ceviche with miso and lime dressing, Valentine radish, and turnip, and bass escabeche with sea urchin espuma and fresh vegetables; foie gras emulsified bean stew with blood orange, seared foie gras, and mustard sprouts; sablefish with celeriac consommé, mushroom duxelles, and spinach; partridge with Jerusalem artichoke; and seared Boileau deer with stuffed cabbage, confit, mashed potatoes, and Espelette pepper gravy. The ‘five themes’ tasting menu is comprised of 11 courses and the chefs can accommodate vegetarians with a seven-course menu as well. Make a reservation at LaurieRaphael. When it comes to accolades, few can compare to Alex Chen. The executive chef of Signature Restaurants helped open the downtown hotspot of Boulevard Kitchen & Oyster Bar just a few years ago after leading the Canadian culinary team to a top-10 finish at the 2013 edition of the prestigious Bocuse d’Or in Lyon, France. 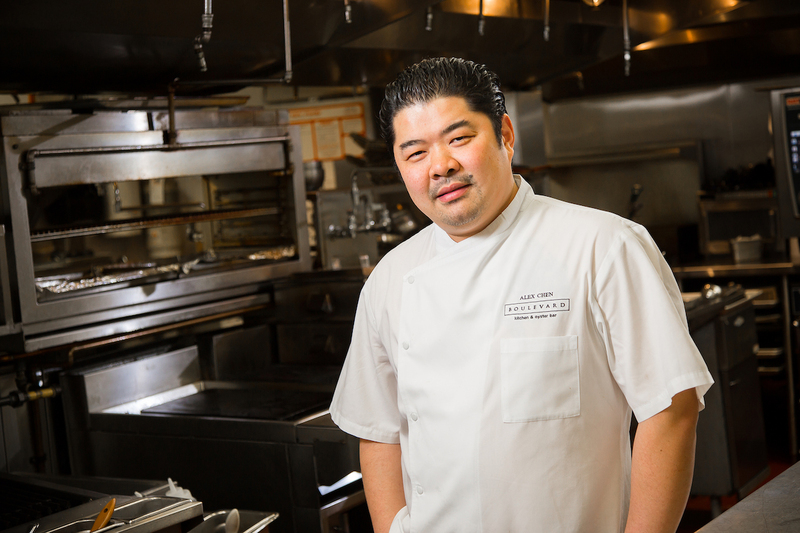 Chen, who continues to oversee kitchen operations at Boulevard, also won the 2018 Canadian Culinary Championships in Kelowna, British Columbia, and went on to defeat chef Hugh Acheson in Iron Chef Canada just this past November. 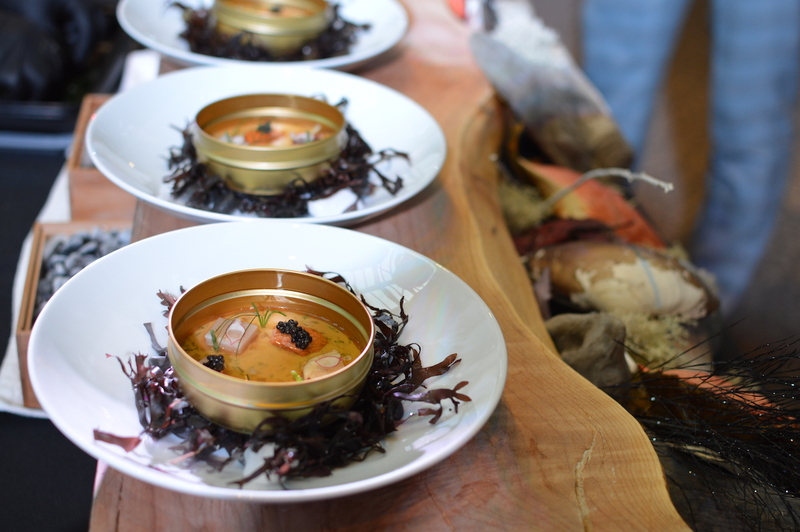 His diners are too busy scarfing down his signature parfait of wild British Columbia shellfish ‘chowder’ to care much for awards, along with his Northern Divine Caviar and Bull Kelp brioche. Other notable dishes to try include wild sidestripe shrimp with chilled melon and fennel gazpacho and Iberico cabecero; braised beef short rib with millet risotto, granny smith apple, and celeriac fondant; and seared ling cod with mushroom relish, bonito crème fraiche, and ham hock dashi. Make a reservation at Boulevard Kitchen & Oyster Bar. Barely into her 20s, Melissa Craig became the first Canadian female winner of the National Apprentice Competition. Fast forward to 2008, when Craig won the gold award at the Gold Metal Plates’ Canadian Culinary Championship. 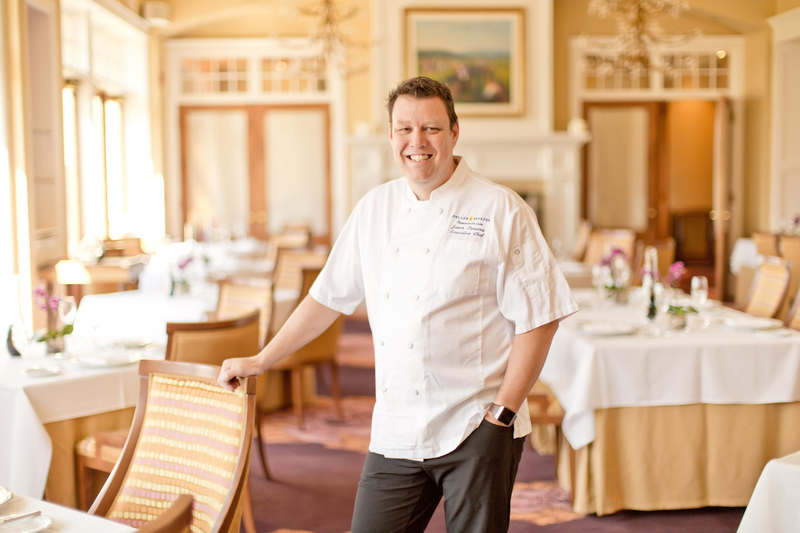 Today, this creative, culinary powerhouse brings a celebration of cooking to the helm of Bearfoot Bistro at the legendary Whistler Resort. Craig is an artist as much as she is a chef. Perusing local farms on the hunt for producers who value Canadian ingredients as much as she does, Craig knows that’s the secret to pleasing Whistler’s discerning guests, along with fine imports during cold weather months (think Northern Italian truffles from Alba and caviars). 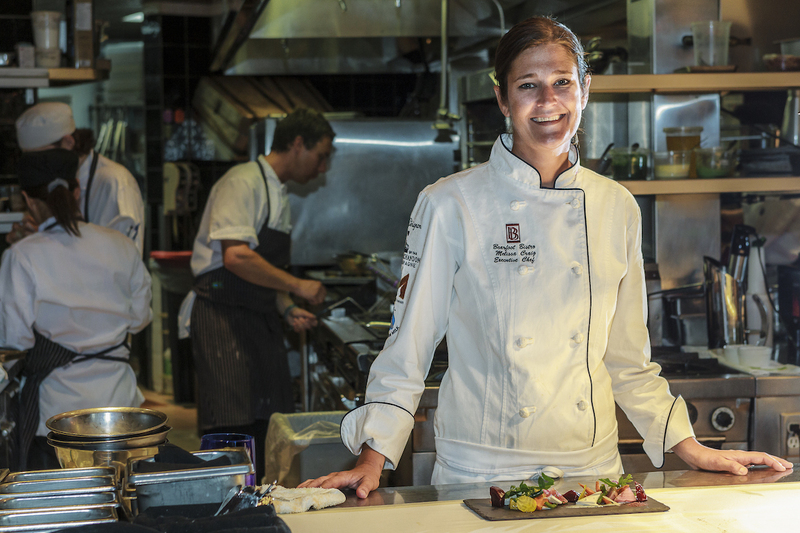 In season, Craig is a seafood fanatic – sea urchin, crab, and black cod are among her favorites. Craig’s fans love her Bearfoot Bistro tasting menus with wine pairings, naturally, and as well as grabbing a cold room vodka tasting as a palate cleanser. For dessert, her guests return again and again for her signature liquid nitrogen ice cream prepared at the table. 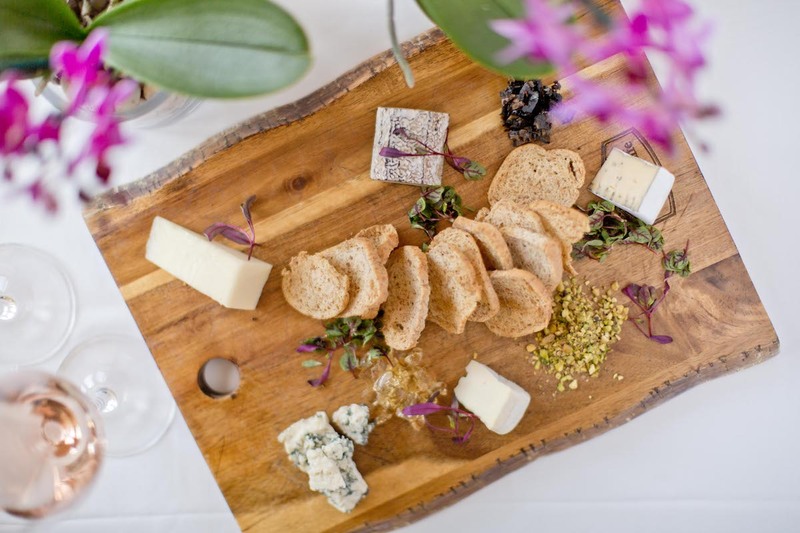 Make a reservation at Bearfoot Bistro. 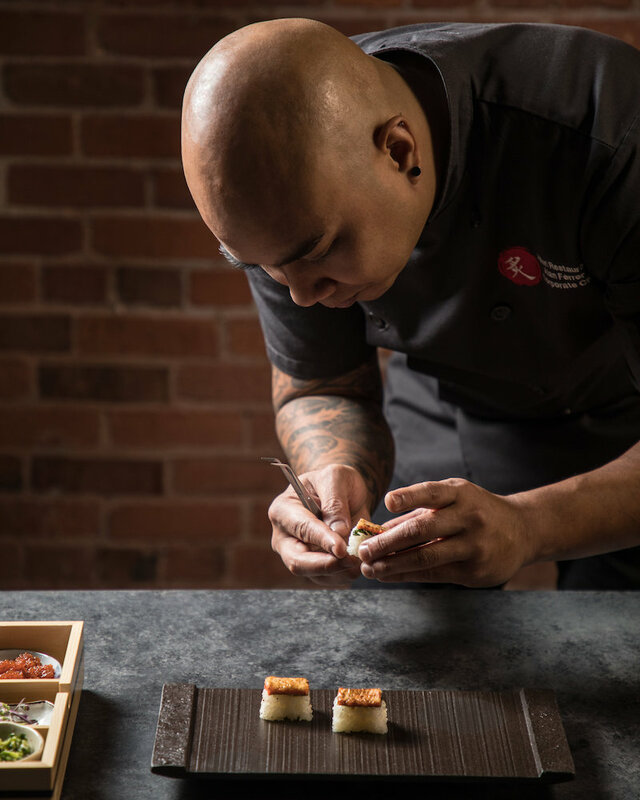 As the corporate kitchen chef of Aburi Restaurants and executive chef of Minami Restaurant in the Yaletown district, Alan Ferrer has perhaps the most enviable job of any sushi chef in Canada. After all, someone has to make sure the mountains of premium Aburi Oshi sushi are sheer perfection. Minami is so much more than the typical sushi experience – Ferrer represents the next generation of Oshi Sushi in dishes like Minami’s signature salmon Oshi sushi, enhanced with premium toppings and garnishes. 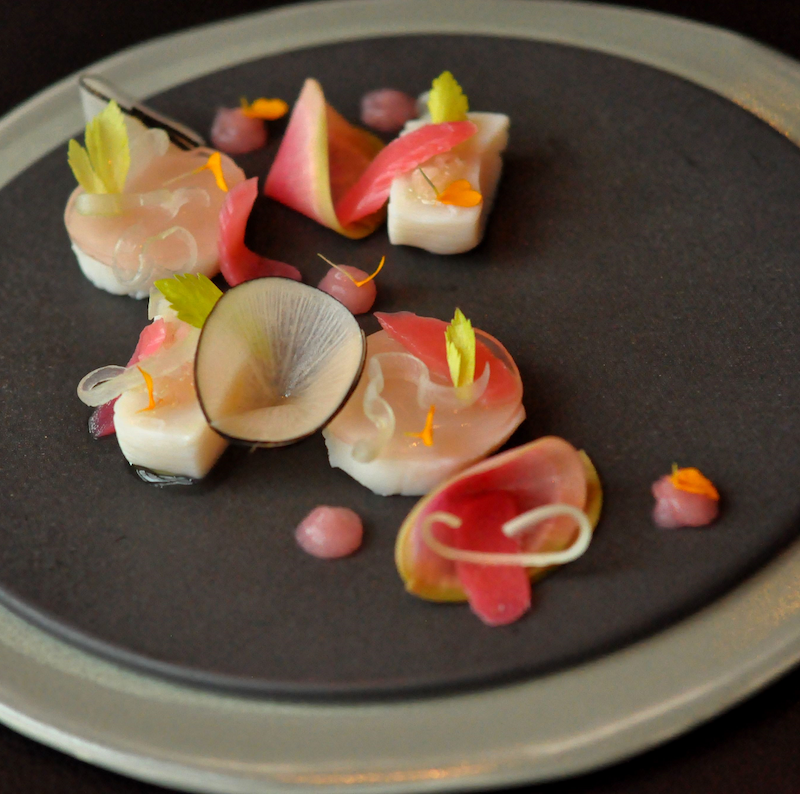 The plating is like art, not just rolls or sashimi thrown together on a plate. Expect to find organic petit green herbs, green pea-shiso, and red cabbage purées. Just a few of Ferrer’s premium toppings choices include Hokkaido Hotate and Botan ebi, mentaiko aioli, seasonal microgreens, Albacore tuna and Ōtoro, tobiko oroshi ponzu, yuzu zest,, Japanese Wagyu, hickory- smoked bacon, wasabi negi relish, and kiku flower. Make a reservation at Minami. An example of where to eat if you love beer, the dishes on the menu at Liberty Commons don’t just pair well with beer — they honor it. 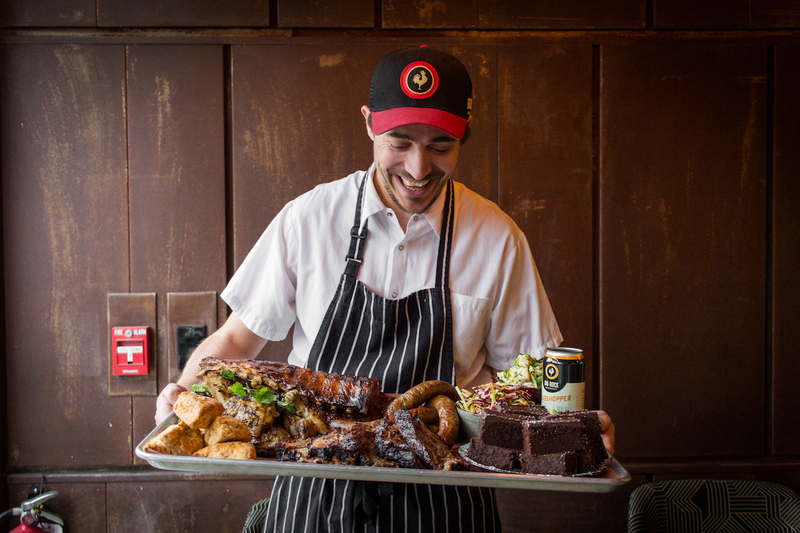 An enterprising chef de cuisine at this contemporary brewpub and BBQ eatery, Lister regularly infuses dishes with some sort of beer. For example, his rarebit mac n’ cauliflower features rarebit made with Big Rock’s porter brew. 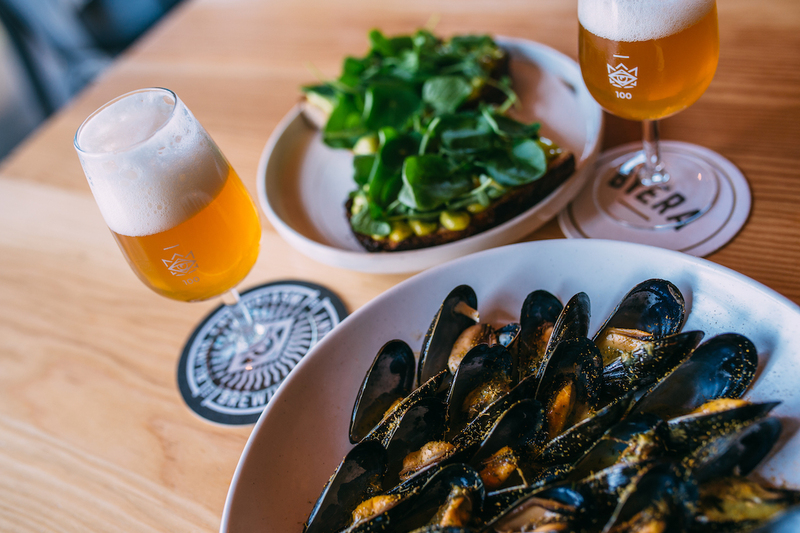 The mantra of ‘good food and good beer in good company’ is alive and well at Liberty Commons. Lister was raised watching his dad brew beer out in the shed of his native seaside town of Weymouth, England. He dreamt of opening his own brewpub one day, based on the pub food and pints he loved back in the United Kingdom. The menu is inspired by the British classics but transformed into a more refined comfort food experience with dishes like jalapeño and cheddar pierogies with fried shallots, sour cream, beet, and horseradish chutney and Yorkie pudding and corn chip nachos with smoked avocado, salsa, jalapeños, cheddar, and BBQ brisket burnt ends. Make a reservation at Liberty Commons. This enterprising chef can trace his fascination with food back to early childhood in his native Lima, Peru. 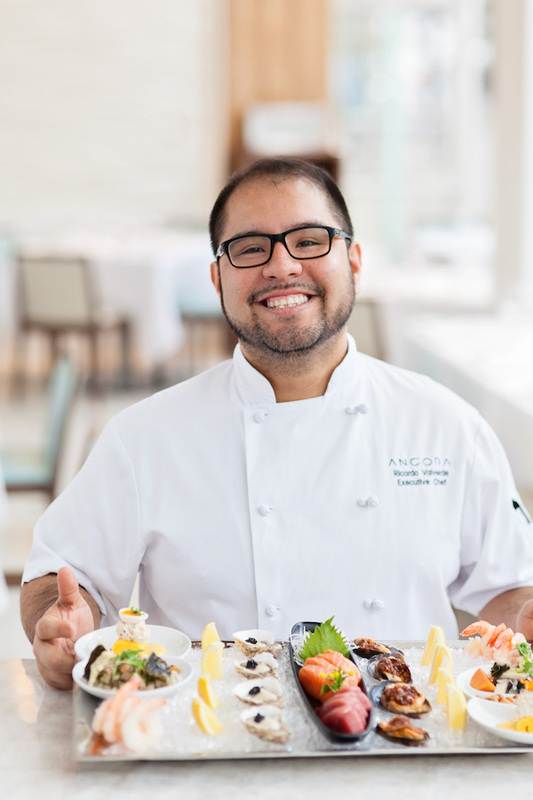 Yearning to learn more about west coast flavors, Ricardo Valverde moved to Vancouver decades ago, where his passion eventually came to life in Vancouver’s Ancora Waterfront Dining and Patio. This French cooking enthusiast received his culinary, pastry/baking, and hospitality management diplomas at Dubrulle French Culinary Institute of Canada, and it shows in some of this vibrant city’s tastiest dishes. 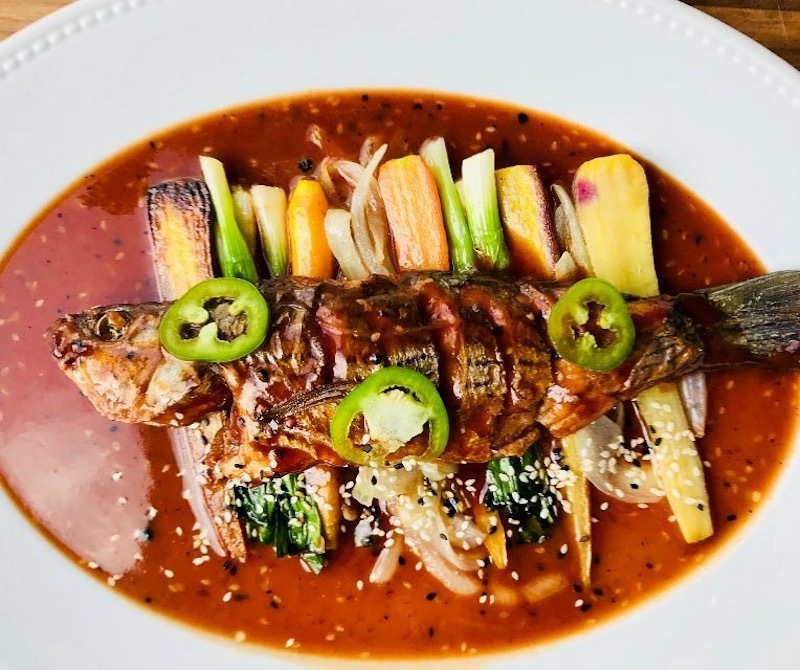 Sophisticated diners will recognize the combination of Valverde’s Peruvian roots, Japanese techniques, and French cooking styles working seamlessly with local ingredients. Guests praise his Ancora glacier with his daily selection of oysters on the half shell, spicy ponzu, ceviche tartare tasting, crab causa, Salt Spring Island mussel Peruvian escabeche, poached prawns, and sashimi, while his grilled octopus anticucho with miso panca, smoked potato espuma, and chalaca and the Peruvian classic of rice and duck, choclo, pickled shallots, huancaina sauce, and seco norteño jus earn high marks as well. Make a reservation at Ancora Waterfront Dining. 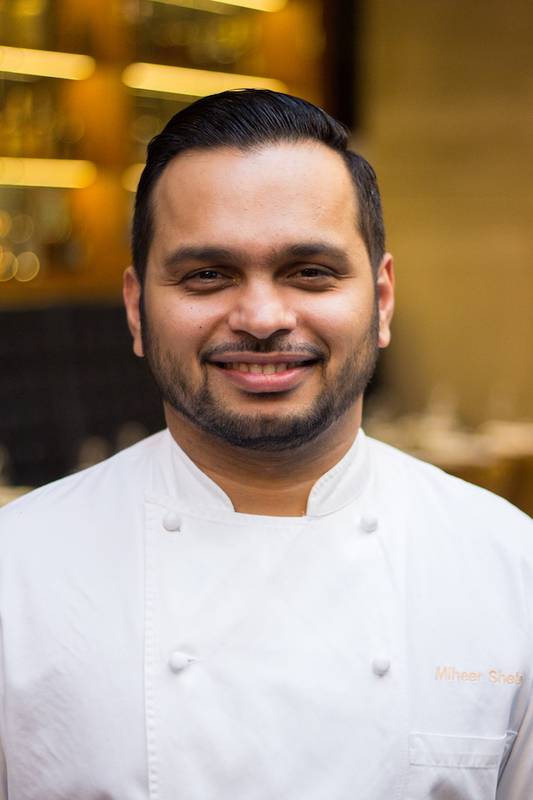 Chef Miheer Shete grew up on authentic Indian food in Mumbai, relishing dishes like green chili masala dosa from Guru Lakshmi. This winner of Chopped Canada in the first season finale has gone on to helm Toronto’s Jump. But it’s more than just the flavor profile that has lifted chef Shete’s Jump to new heights. He studied under French master chef Jose Gutierrez and cooked at Michelin-starred restaurants in the U.K. before coming to Canada in 2010. Those skills are reflected in dishes like braised lamb shank with parsnips, turnips, pearl barley, and roasted garlic gremolata and the Bay Street Buddha bowl with chickpea frittata, sprouted lentils, buckwheat, stewed peppers, edamame, and hemp seeds. Don’t miss the molasses-brined duck breast with green beans, bean sprouts, fried wild rice, and ginger scallion sauce. Make a reservation at JUMP. 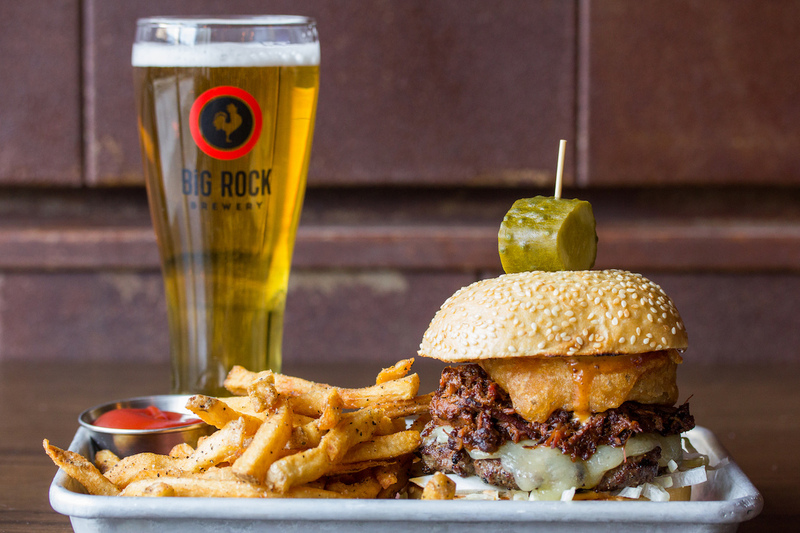 Biera is a brewpub in Edmonton’s Ritchie Market – but don’t let the vernacular fool you. Christine Sandford is an all-star craftswoman who knows how to infuse beer into some of Alberta’s finest dishes. She developed many of her skills on the road and brought them back to Biera, where she focuses the menu on foods that pair well with beers, including desserts like her hops-based sorbet. Even the temperamental dough Sandford makes, a scrumptious sourdough bread, is based on recipes she learned in Belgium, authentic in the extreme since Sandford takes the weather into account when baking it. Preserved goods are a favorite in her kitchen, which she prepares before winter hits. Her cultured in-house butter is a must-try, along with any of her dishes cooked over charcoal, like pork shoulder on the bone, carved off and served with chewy dried and rehydrated beets and rhubarb and glazed in meadowsweet verjus. Sandford also makes her own vinegars, including beer vinegar and lemon geranium vinegar. Diners flock to Biera’s snack hour for small plates and, of course, beer. Make a reservation at Biera-Ritchie Market. The name Jason Parsons has become synonymous with all things ice wine and all things gourmet in this part of Canada. The personable chef who loves fresh herbs (particularly basil, lemon thyme, and curry thyme) has appeared regularly as a guest expert on the talk show CityLine and makes guests feel at home at the eatery within Peller Estates Winery. Much of the ingredient base he uses in his cooking come from Canada and, more specifically, whenever possible, Ontario. Diners rave about Parsons’ veal sweetbreads with a cornmeal crust, lobster linguini with Sur Lie Chardonnay cream sauce, and wild boar with red pearl onions, chanterelles, and shallot cider jus. Make a reservation at Peller Estates Winery and Restaurant. No story on city chefs would be complete without including Montreal’s Mathieu Masson-Duceppe, who has so much fun in the kitchen it shows on every plate. 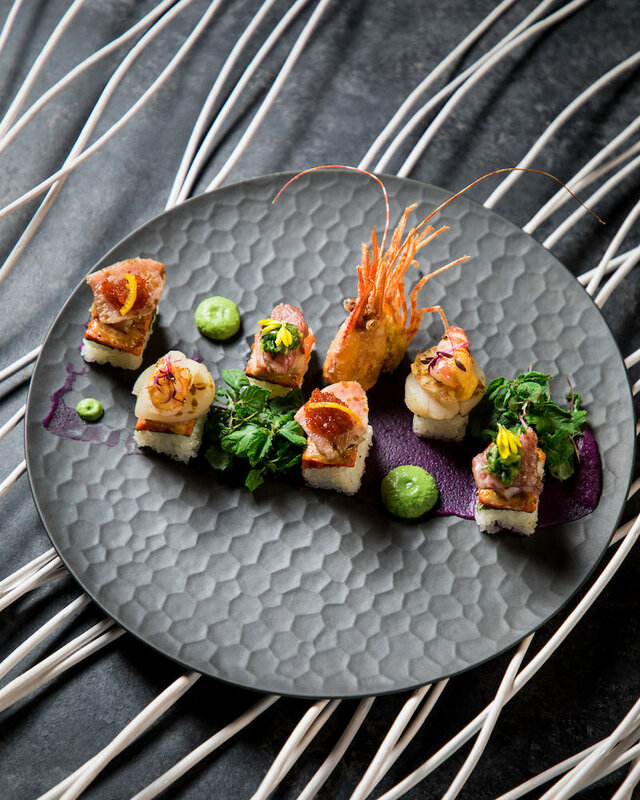 This young chef’s restaurant Jellyfish reflects Masson-Duceppe’s lifelong love of travel, bringing together the best of what he learned in France and Asia with fine dining as only Montreal can display. 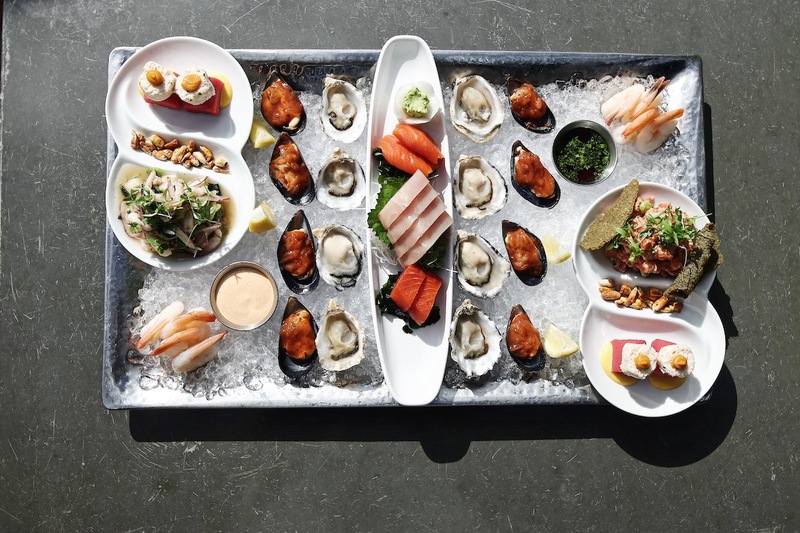 At Jellyfish, Masson-Duceppe crafts a marriage of raw and oven-cooked dishes, including starters like salmon belly with salmon caviar and egg roll chip and the bao bun fried soft shell crab with kewpie sake mayo and cucumbers. Diners’ favorite entrees include charcoal-cooked Gaspor piglet with spicy banana ketchup, cilantro sour cream, fried onion ring, and herbs, and confit duck thigh with carrot, orange, and coconut milk. 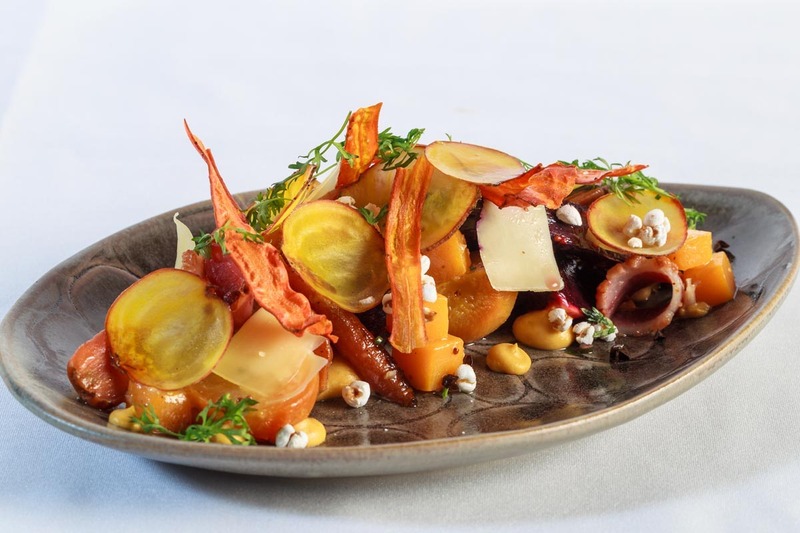 Masson-Duceppe is one of the foremost chefs when it comes to celebrating veggies, so vegetarians will find a welcoming menu at Jellyfish, painted with his signature combination of Chinese and Latino flavors. Make a reservation at Jellyfish. Have you dined with any of these top chefs in Canada? Tell us here or over on Facebook, Instagram, Pinterest, or Twitter. And, remember to snap + share your #dishpics with us on Instagram for a chance to win in our weekly giveaway. Kelly Merritt is an author and freelance journalist specializing in culinary travel. Follow her on Twitter @kellywrites + Instagram @kellymerrittwrites + Facebook at KellyMerrittWrites. Photo credits: Nataschia Wielink (Peller); Cindy La (Miheer Shete); KK Law (Alex Chen).